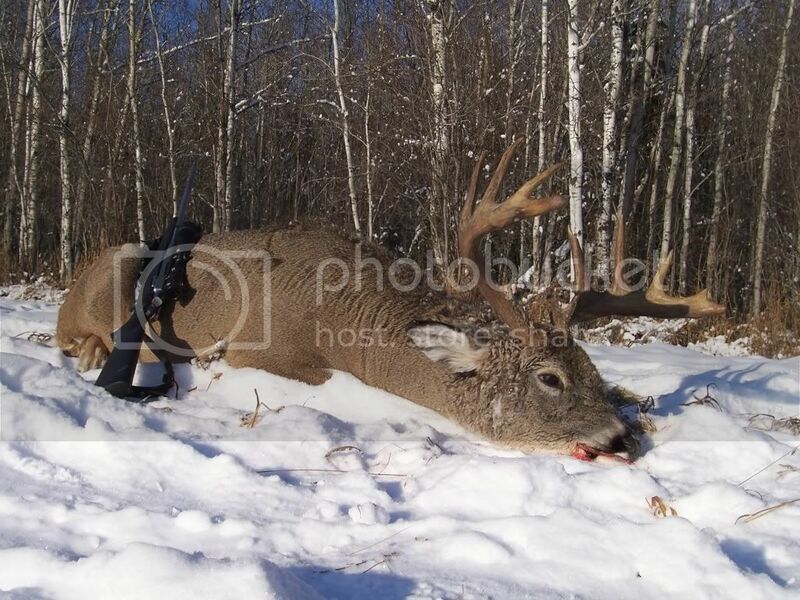 I recently returned from a trip to Alberta, Canada to visit and hunt with a great friend of mine that was born and raised in the cold big woods of Northern Alberta. 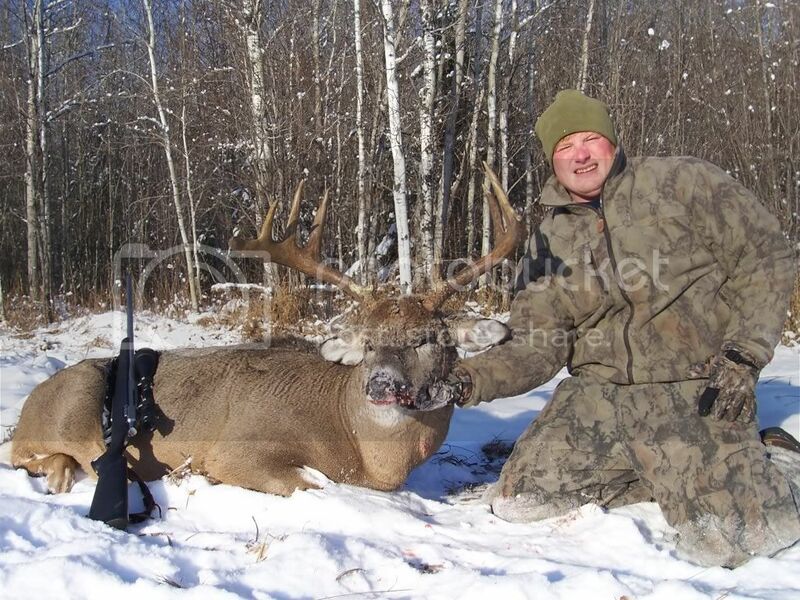 I had one buck tag to feel and my friend, Vern, had a buck and a bull moose tag. 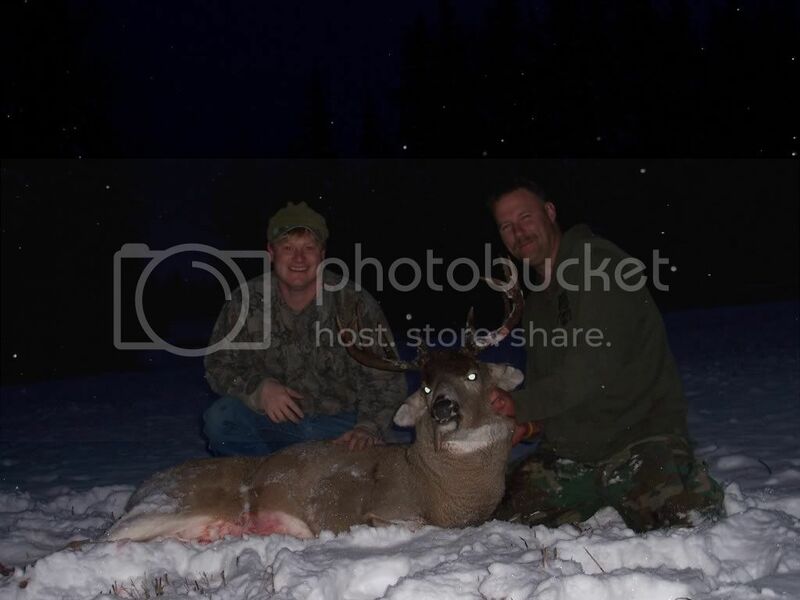 We had 11 days to get all these tags filled, and Vern got married the second day of the hunt. 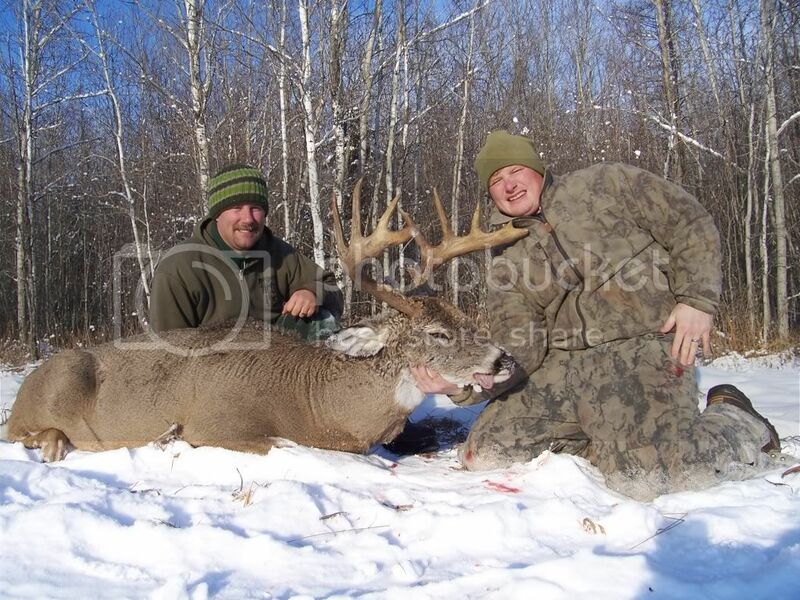 So his honeymoon was spent with Vern and I hunting in the big timber. This trip was the coldest temps I have ever hunted, dripping down to -28. So to make a long story short, we had a hellva a hunt. 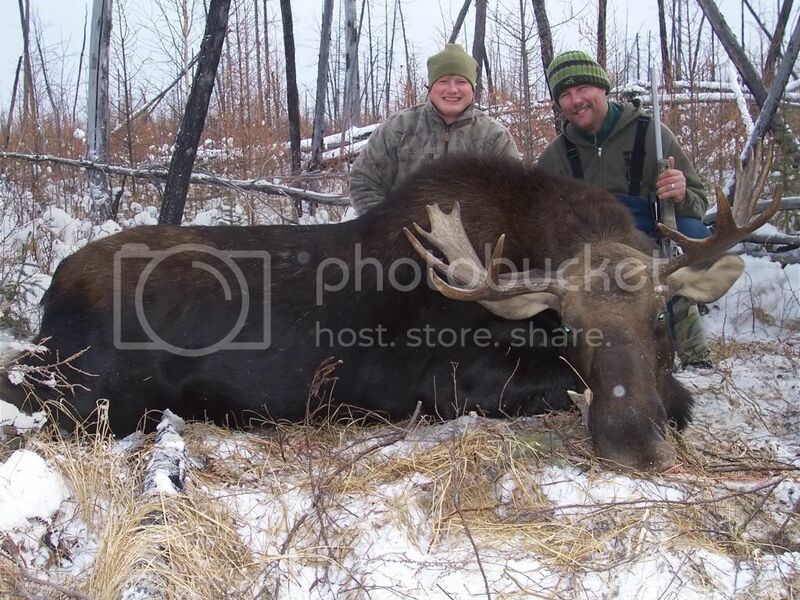 In 11 days we filled all of our tags and his aunt and uncle joined the hunt,and his aunt filled her moose tag as well. 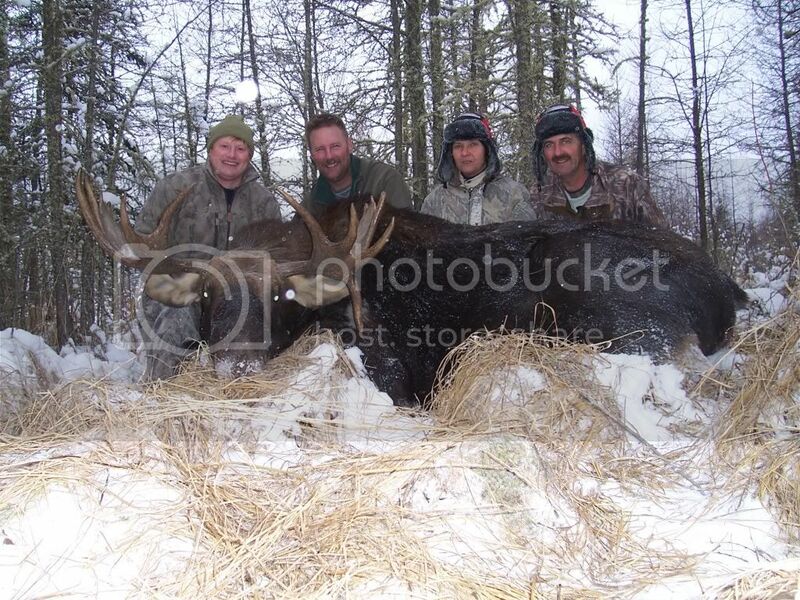 So in 11 days we took 2 bull moose and 2 bucks. I took my buck the second to the last day while hunting a gaint we saw eariler in the week that would go in the 180s easy. That day the temps hoover around -20. 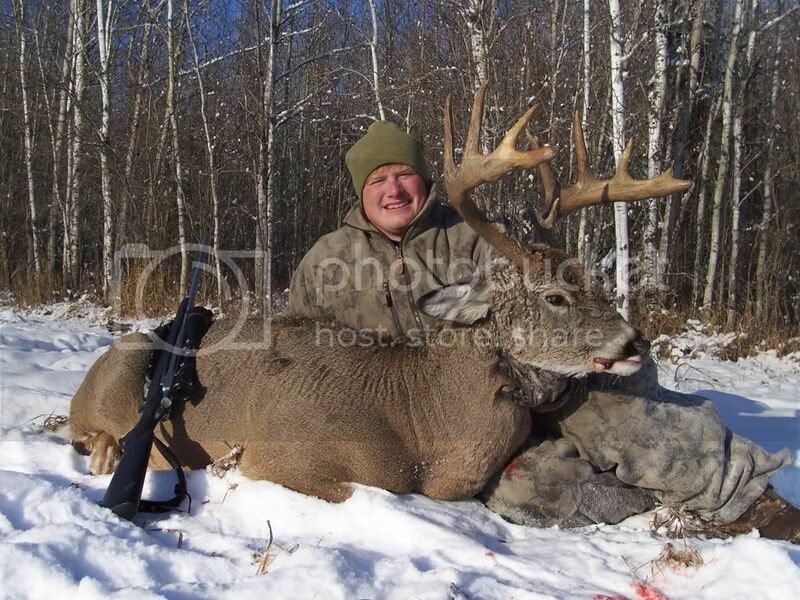 The buck I took is a great deer with a inside spread of 25 in, great mass and gross 161 3/8. This was a trip of a lifetime and can't wait in three years an do it again. Thanks Vern and Kelsie.